Sprawling chain hotels can be a total snooze. 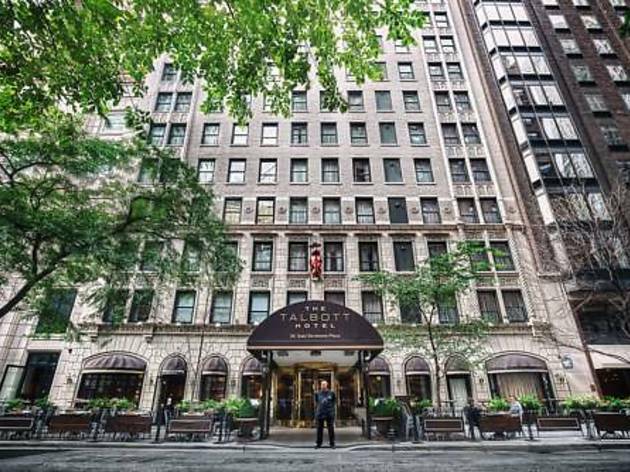 Luckily, Chicago boasts an impressive assortment of boutique properties that trade size for warm, personalized service and lashings of character. 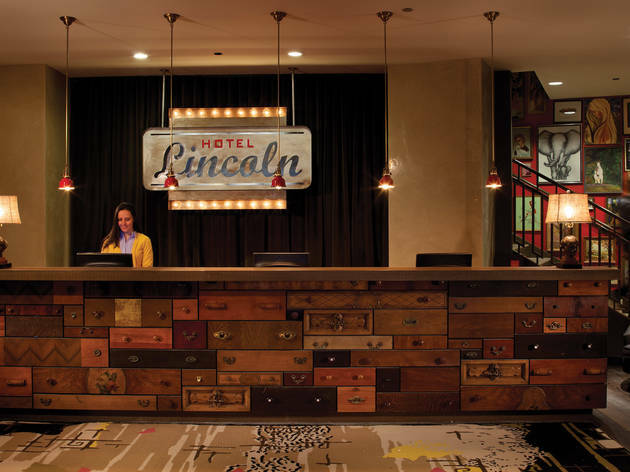 Whether it's your first time in Chicago or you're planning a weekend staycation, these hotels make a cozy backdrop when you're away from home. 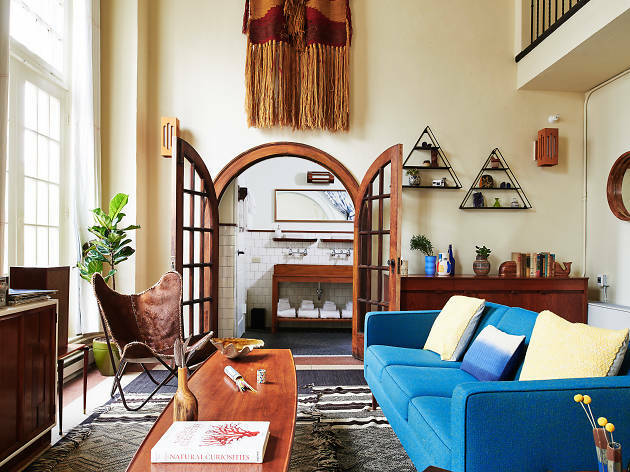 Take a look at our all-time favorite boutique offerings—from a stylish stunner in Wicker Park to a British import crowned by one of the city’s best rooftop pools. With choices like these, you'll be packing your bags in no time. To say the Chicago Athletic Association is beautiful is to put it mildly. Stay in one of the 241 luxury boutique rooms—throwbacks to the club rooms of athletic associations long gone. 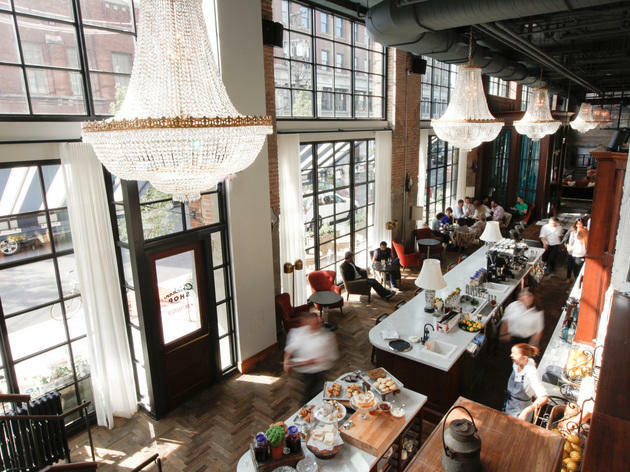 From the unparalleled view of Millennium Park and Lake Michigan at Cindy’s rooftop restaurant to more great food and drink at Cherry Circle Room and even Shake Shack, there’s no shortage of options. You’ll also love the Game Room, with its private alley entry and bocce, shuffleboard and billiards. 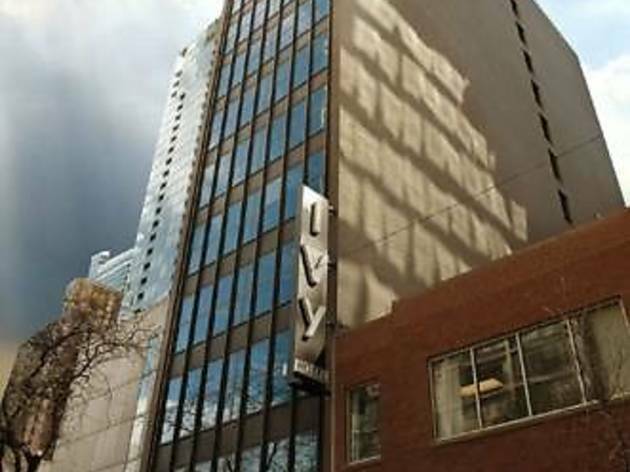 Find access to everything you need and more in this wonderfully restored 1890s building. 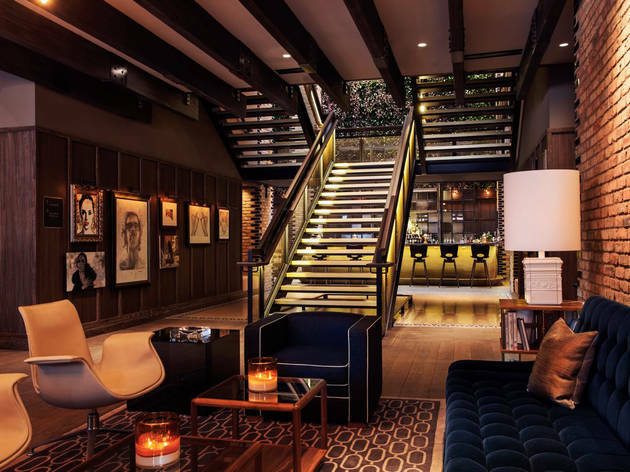 Unique amenities abound at the 40-room Chicago outpost of this London-bred hotel and private members’ club concept, from a screening room kitted out with red velvet club chairs to a gym that one-ups standard cardio equipment with a professional-caliber boxing ring. 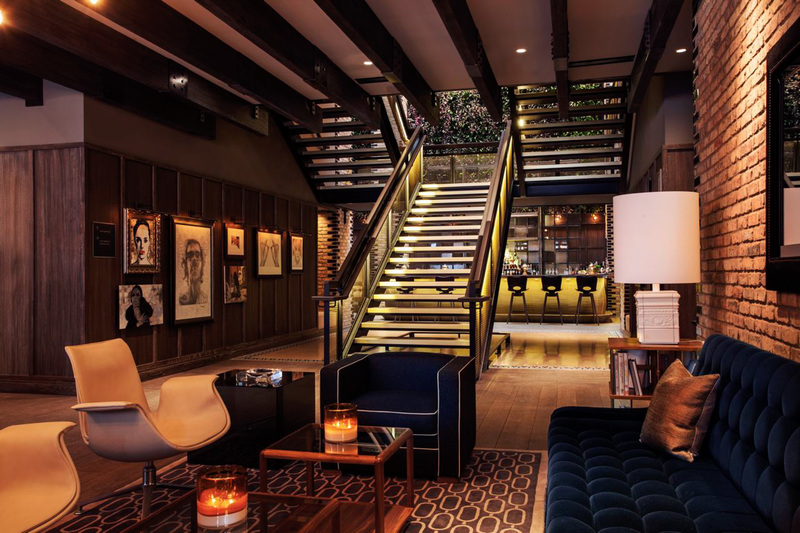 Guests gain access to an array of spaces off-limits to the public, like an intimate bar and a cozy drawing room done up in vintage furnishings as well as a 60-foot rooftop pool with fabulous city views. On the service front, expect charming touches like “One While Changing,” a program in which a cart-bearing bartender visits each room to mix guests a drink while they get dolled up for the evening. In a landscape filled with mega-hotels and Airbnb rentals galore, there’s something extra special about a good old bed and breakfast. The quaint but impressive Publishing House has 11 unique rooms (from cozy to XL) that are outfitted in cowhide rugs, clawfoot tubs and funky vintage furniture. 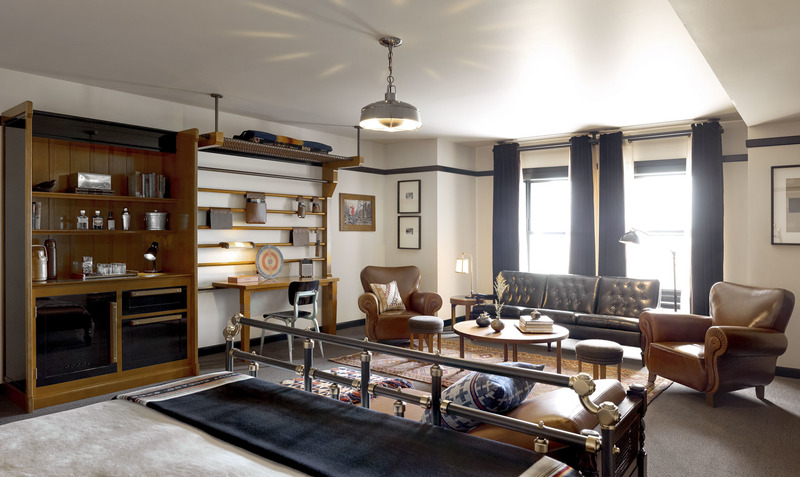 Each room is wildly different, giving guests an excuse to venture back again and again. 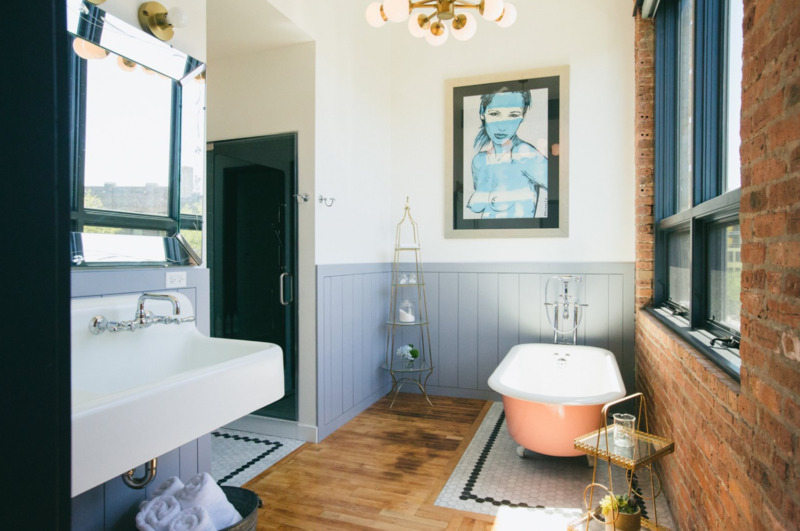 As much as you won’t want to leave your room in the morning, one whiff of breakfast—cooked by owners Shawn Uldridge and Kimberly Lowery—will surely draw you out of bed. 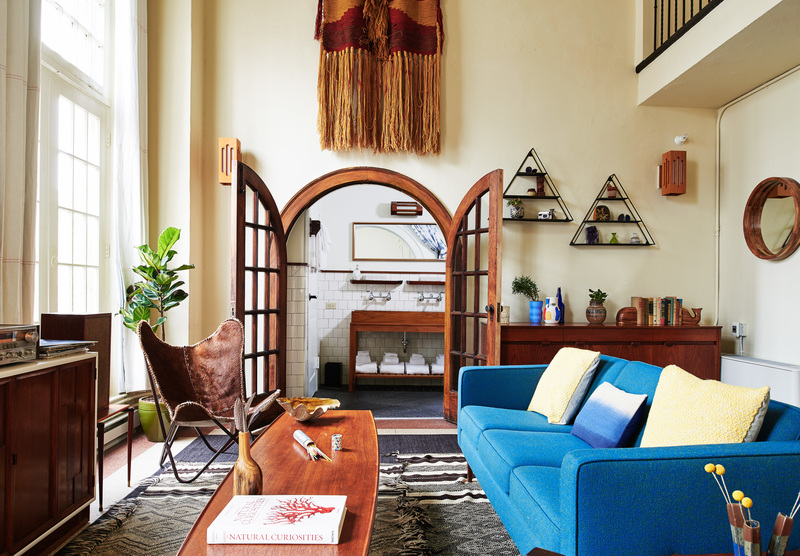 Staying at the Freehand is like crashing at your ubercool friend's very stylish pad. The rooms at this hybrid hotel-hostel are small but highly designed with funky textiles and bunk beds in the shared rooms. Downstairs, guests can grab coffee and pastries at Cafe Integral or belly up for excellent craft cocktails at lobby bar Broken Shaker. 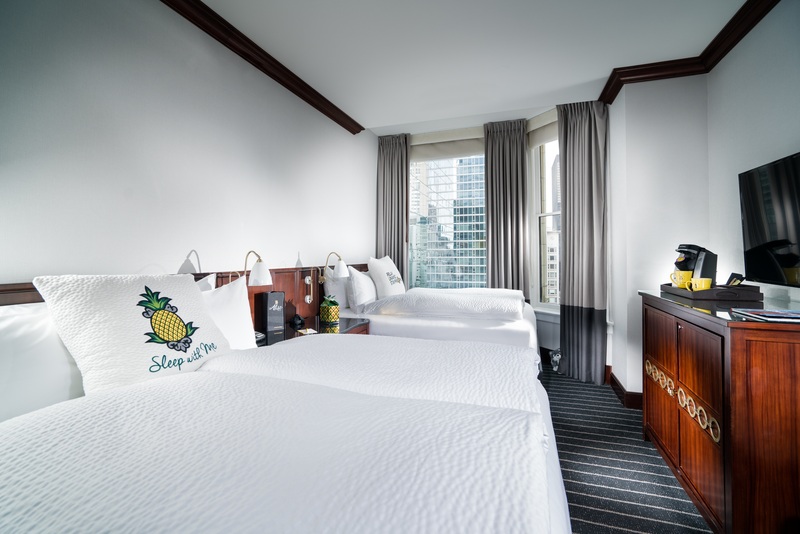 Because the hotel is located in the heart of River North, you'll be a stone's throw from major tourist attractions and some of the best restaurants and bars the city has to offer. 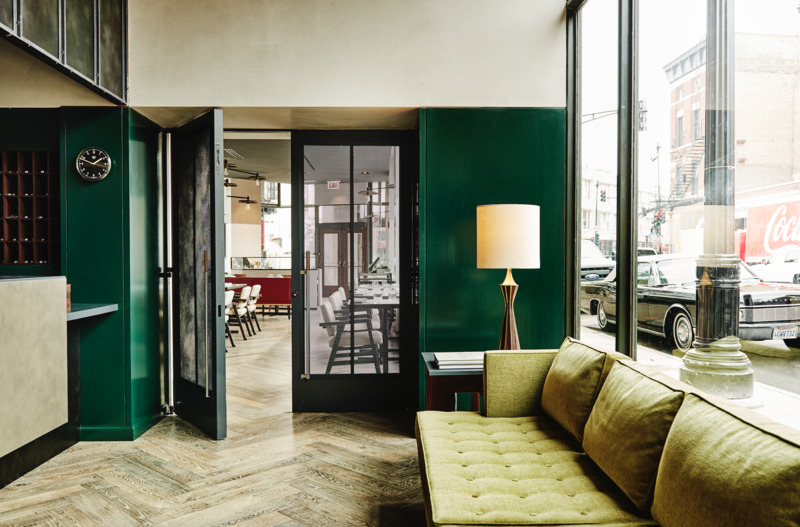 Clean mid-century design and effortless luxury in the heart of Chicago, the Thompson Hotel Chicago is a boutique centerpiece in the Gold Coast. The hotel's amazing restaurant, Nico Osteria, offers authentic and light Italian seafood while in-house bar and gathering space Salone Nico serves crafted cocktails and a fine Italian and Meditteranean wine list. The hotel features an on-site fitness center, too. 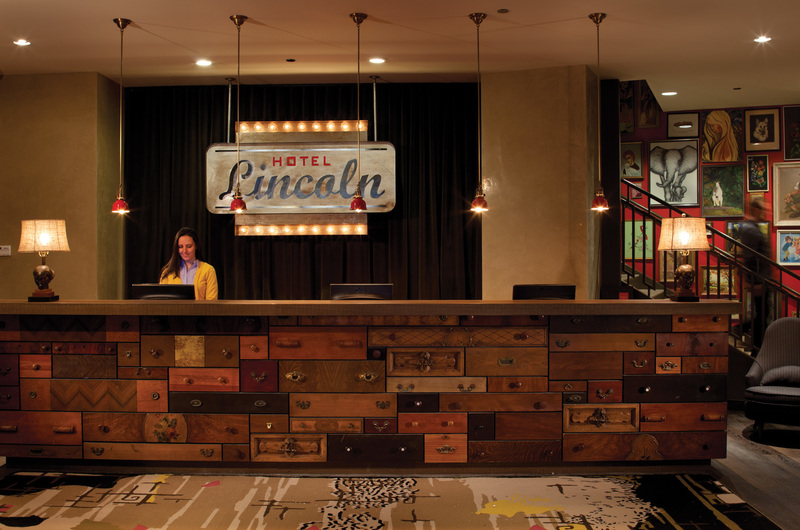 The complete overhaul of this 12-story Lincoln Park hotel (formerly a Days Inn) is Joie de Vivre’s first in Chicago. 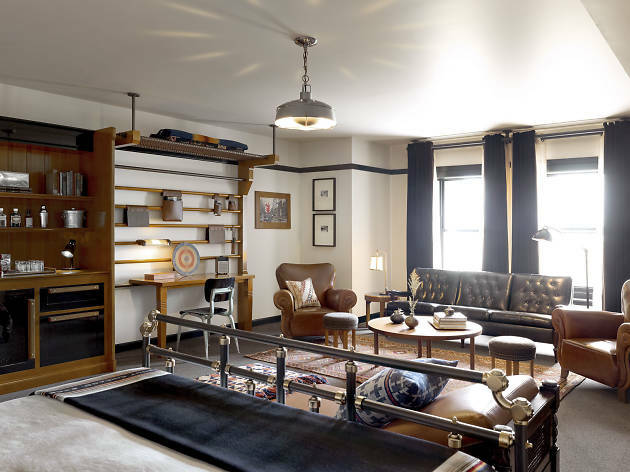 It offers 184 guest rooms, clever artwork (quirky paintings on a lobby wall were sourced from Lincoln Park yard sales), room service from The Kennison and a coffee shop, Elaine's Coffee Call, featuring La Colombe java. 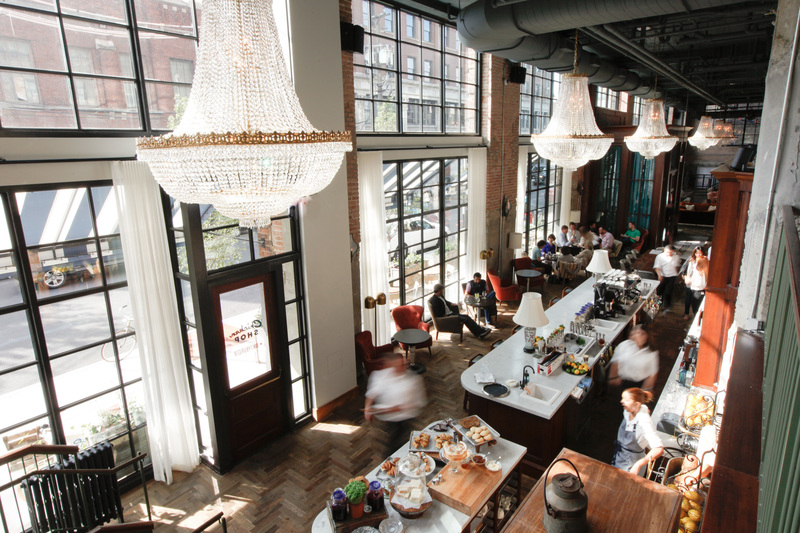 The hotel’s rooftop bar, the J. Parker, is a lively hot spot, offering views of the park and skyline. 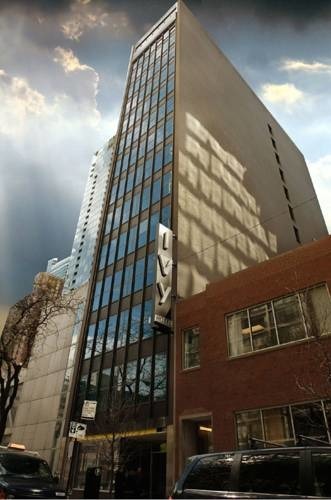 Gadget geeks will get a kick out of techie amenities, like flat-screen TVs concealed behind bathroom mirrors and mechanized drapery, at this 63-room property in Loop- and River North-adjacent Streeterville. It’s all of a piece with the faintly futuristic vibe that dominates here, from cool white textiles and angular armchairs in guest rooms to hallways lined with abstract artwork and pillars of glowing light. 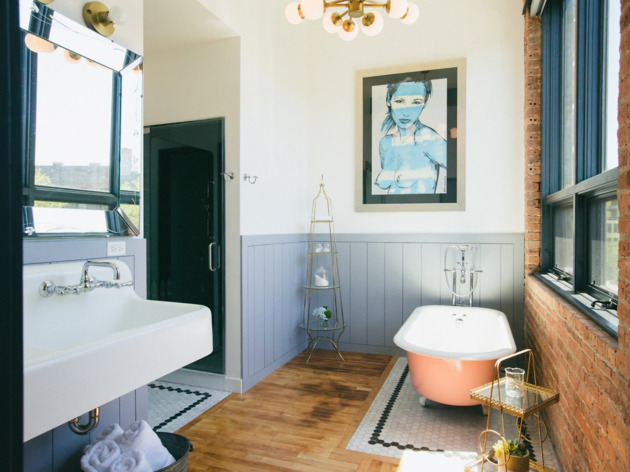 For a dose of relaxation, splash out on one of the hotel’s suites, which feature spacious marble-clad bathrooms fitted with rainfall showers and soaking tubs. You can almost feel the history in the walls at this Loop landmark, built in 1895 as the Reliance Building by no lesser architectural lights than Daniel Burnham and John Root. 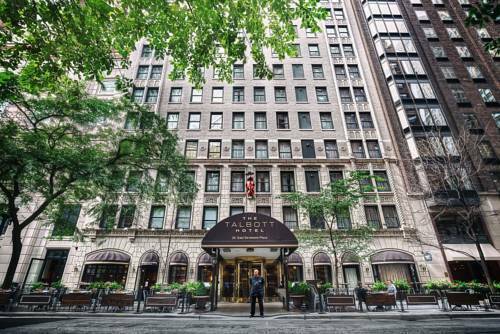 Following a 2015 refresh, the property retains touches of old-world elegance—see, for instance, the elaborate ironwork and sumptuous marble that graces the stairways—while skewing decidedly modern and clean in guest rooms. Guests can enjoy custom yellow beach cruisers to explore the city, a fitness center, afternoon coffee and cupcakes in the lobby and comfy slippers you can take with you. Situated at the heart of hipster haven Wicker Park, this 69-room newcomer—the long-awaited reimagining of the 1929 Art Deco Northwest Tower—earns coolness cred for its common spaces, like the French-accented Café Robey and rooftop pool-adjacent Cabana Club, appointed in a sleek palette of whites and grays. 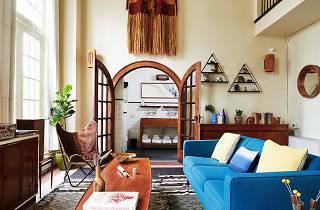 But for the minimal vibe of its public face, its mix of queen, king, and suite-style rooms aren’t without homey creature comforts; think crisp 400-thread-count linens, supple denim robes, Bluetooth sound systems, and, thanks to the building’s unusual triangular shape, an abundance of windows that usher in natural light. 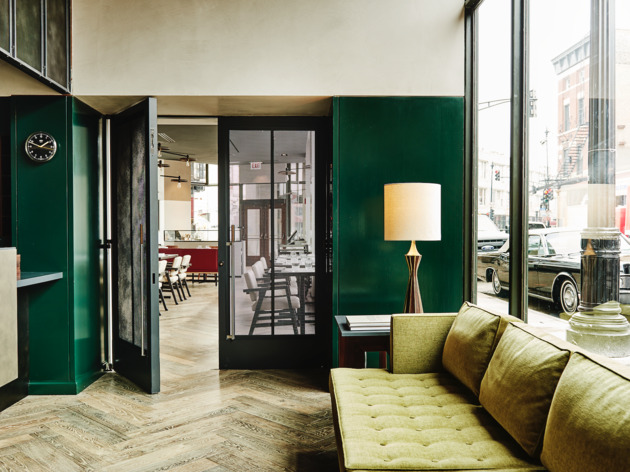 This comfortable Gold Coast hotel recently received a four-month interior makeover spearheaded by Chicago designer Kara Mann, who transformed the space from an old-school hideaway to a bright, modern city escape. 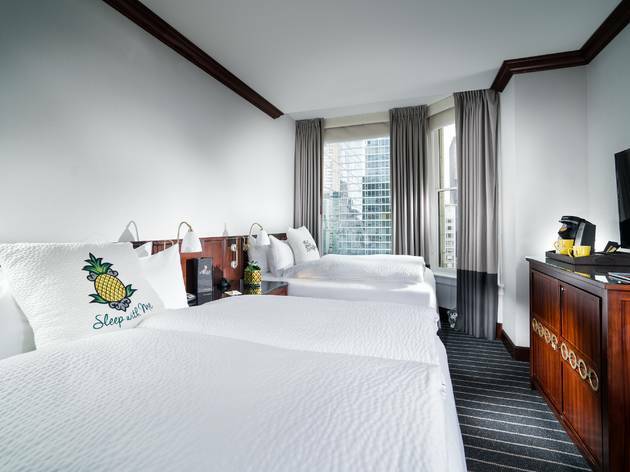 Situated in the heart of the Gold Coast, it’s an ideal launching pad for a staycation—guests are just around the corner from Michigan Avenue shopping, Oak Street Beach and the MCA. Back in your room, you'll find plush bedding, handsome furniture and clean, sophisticaed design touches.